Puree the fresh coriander and spinach in a food processor with two or three tablespoons of water. If you don’t have a food processor, just chop them finely. Chop the garlic finely. Rinse the rice well with cold water. Take a medium pot and bring the ghee to heat in it on high. When it’s hot, add the cloves, cinnamon, cardamoms, and bay leaf and as they sizzle up, the chopped garlic. When the garlic turns a pale golden, measure the rice first into a mug, next stir it in and fry for a minute. Then mix in the green paste, add 1.5 times as much hot water as the rice, measured in the same mug. Bring to a boil, lower the flame to simmer, cover and cook for about 10-12 minutes until all the water is absorbed and the rice is cooked. Serve this with yogurt and pickle for a really simple lunch or as a side for some grilled chicken or pork. I know! Unless it’s on the counter and you are using all the MD pieces, these Mixies are useless. I have about 3 Cuisinart in the garage I don’t use, I think I forgotten how to use all those little attachments. 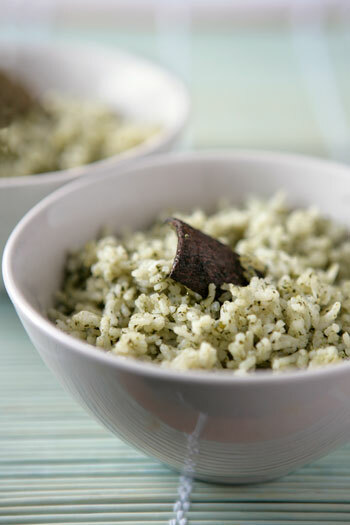 Good that you are using it, Pulao looks flavorful and easy too. you mallika, are one funny woman… this was a hilarious post!! the pulav looks great too…whats not to love about a one pot meal!! That photo is fabulous, Mallika! I have a Magimix too, and love it. Shame it can’t do less than half a kg of spices though! I know, I should get a little coffee grinder like all sensible people. Darn the gadgets can’t live without them once you start liking them. You cannot be saved. As for this pulao no harm in falling in love with it. The pulao was delicious and I made the chicken using one naked breast. Cooking for one is not always easy. LOL at you losing it . Pulao looks good and do able .How’s the little one coming along ? Did you carry this to Ms. Shetty’s Potluck 😉 How is Mini Basu ? And I want the goss on Shilpa Shettyâ€™s party! I have my mum’s Magimix from the 1980s. I lug it out for grating industrial amounts of carrots, or slicing vast amounts of paper-thin cucumber. My trusty friend remains my hand-held blender and its grinder attachment that does tiny amount of spices. I agree – you need a counter big-enough to keep the processor at the ready, otherwise it is a bit of a production every time to haul it out. Many thanks, Mallika, for your support. I am getting a bit of flak over our campaign to save local shops from the threat of Tesco’s – all kind wishes much appreciated! Love the variation of this simple pulao, it has a combination of all the fragrant spices, but no veggies, not even onions… ok this is a first for me. Looks good. Looks like a great dish. Glad to hear you moved to the big processor. Thanks for sharing, looks fantastic. This looks great even though I never heard of it or had it 😉 Yum! A marathi aunty made spinach pulao as one of the dishes for the daugther inlaw’s baby shower. It was then when I got a chance to taste this dish. It is light and delightful I must say! you are hilarious and this recipe looks so delicious and easy! This is funny b/c after having my baby (and about to return to work from maternity leave), I’ve stopped using my food processor! I’m scared it will wake my sleeping daughter (which is usually when I’m cooking – during naps). So I’ve been finely chopping onions, tomatoes, garlic, ginger…and was surprised when I made mattar paneer this weekend that it didn’t taste different. We actually liked the slightly chunky texture. Not that I”m swearing off the processor at all! Finally got to try this recipe… So good!!! Any new meals ideas coming soon? This recipe came out great. Cuisinart has a new line of food processors. I bought the elite 12 cup at http://www.cookswarehouse.com & I love it! hey saw your book at blackwell’s today! Congrats! You’re keeping uncharacteristically quiet about it all… are you OK? 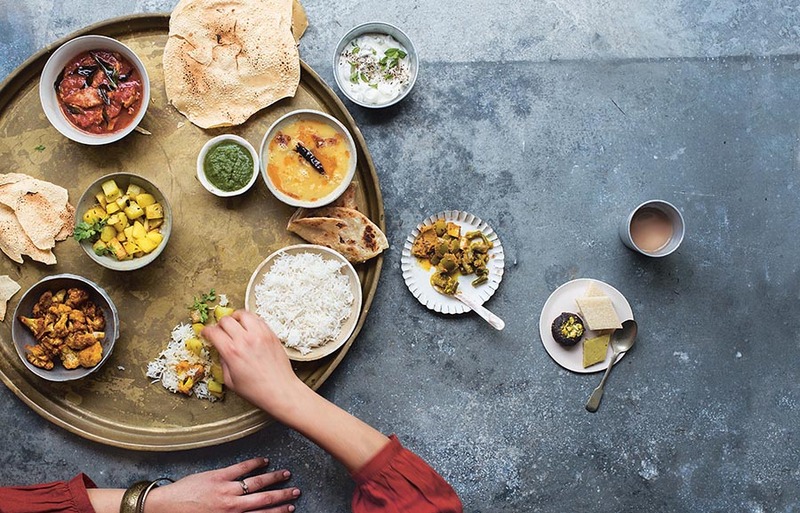 Malika – your book – Miss Masala: Real Indian cooking for busy living – is superb! It is engaging, witty, readable and…helps me cook proper Indian dishes with the minimum of stress. I look forward to having the time to write a review for my blog. What an achievement. Be proud. Love this pulav..simple and flavourful hmm yum! Appears like lots of xbox enthusiasts here, I am a fan too and love to play gamesâ€¦ my gf says I play way too much, but man itâ€™s so pleasant. Iâ€™ve been playing modern warfare and halo for weeks and canâ€™t quit! What would you gamers recommend? In any case, seems like a cool blog, is this wordpress? Iâ€™ve made a couple pages myself and ainâ€™t easy. Cheers for taking time to post this up. You know thus significantly in relation to this topic, produced me individually believe it from a lot of various angles. Its like men and women don’t seem to be involved except it’s something to do with Lady gaga! Your individual stuffs outstanding. At all times care for it up! blog, this weblog is truly remarkable.